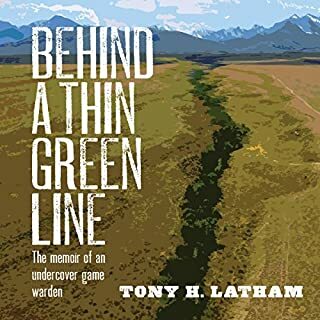 This compelling nonfiction work takes the reader into a convoluted eight month infiltration of a group of squalid criminals trafficking in wildlife by two undercover game wardens. 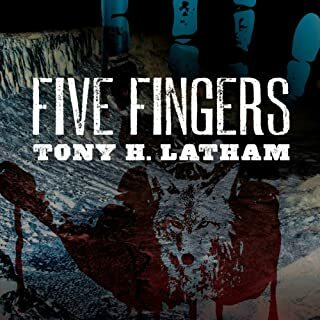 Latham doesn't hold back on the language in this book nor does he downplay the vile acts that occurred against both the human and wildlife victims in this twisted tale. If you think poachers are just a bunch of good old boys out for a bit of meat, this true story is bound to reshape your opinion. 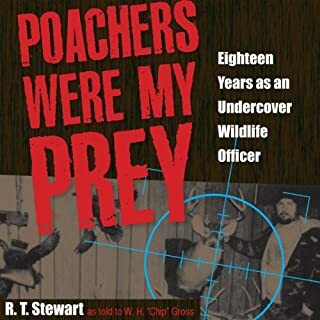 Books written about undercover wildlife trafficking investigations are rare - this one will keep you on the edge of your seat. I picked up this novel on recommendation from a friend. I have very little exposure to the topic of trafficking, much less the ins and outs of hunting for game. 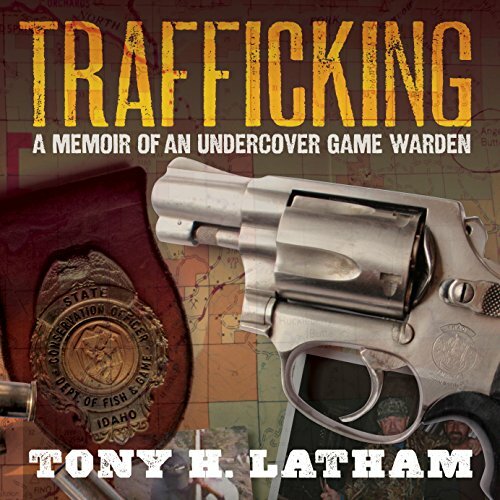 This book not only was a well written and fascinating story about a game warden's work in stopping trafficking as an undercover agent, but also was well narrated and presented! With Audiobooks, I am always worried about how the narrator will present the book and the story of the author, whether it is fiction or non-fiction. However, I was very thrilled with the narration provided, which made this book an easy and exciting listen. 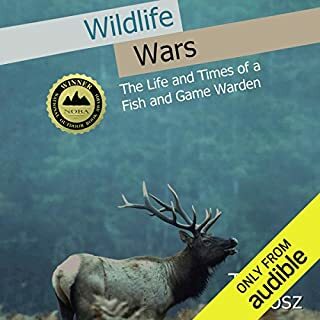 I would definitely recommend this book to anyone that either loves wildlife and wants to hear about some of the abuses that exist today (as well as the work being done to curb and stop trafficking), or are looking to expand their knowledge into new areas. The story is well written, well narrated, and is captivating and compelling. I would love to hear more stories like this! I loved the slow build, the thoughts of the author as he slowly entered a world that was completely different from everything that he knew before, as well as the characters presented and the conclusion of the events. The author took his time in detailing a world in which you could easily imagine the people, locations, and events. Very well done!! My favorite scene in this book was the build up to the conclusion of the climax (no spoilers), as well as the tension that was created. Absolutely. It took me about two days to listen to the entire audiobook, which is a quick listen in any account. Both the Author (in sharing his story) and the narrator (in presenting the story) did fantastic jobs in sharing this tale of trafficking. Would love to read/hear more from both author and narrator, and will recommend to friends. Fascinating look at illegal game hunting in rural America. This was a riveting book with plenty of suspense and action--even better because it's true! 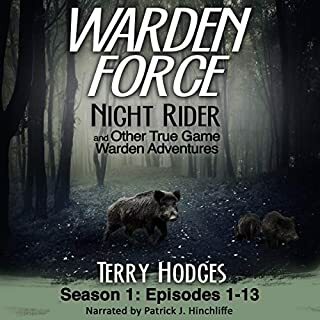 About an Idaho Fish & Game undercover officer investigating a ring of illegal wildlife hunters who slaughtered hundreds of elk, deer, moose and salmon for illegal sale of meat. I was born and raised in a big city and I thoroughly enjoyed this glimpse into a way of life that I have never experienced. Good story, i knew people could be sorry pieces of crap but the people this game warden delt with are worse. Its amazing the kind of people these guys have to deal with. I am thankful for them. The story got slow for a bit but overall kept me interested because i wanted to know what charges they would get. Kept me entertained and engaged! Good detail throughout and paints a good picture! If your interested in Wildlife Law enforcement i would recommend! I've known Tony for many years and he is very passionate about his work with the IFG. His passion also shows in his writing. Great story with detail so that you not left wondering. Enjoyed the book from the start, you will too. Just never accept home made jerky from Tony. His leaves a nasty aftertaste! a harsh glimpse into the carefree waste of wildlife for profit, the grim Fate of wildlife hunted out of season and sold for a few bucks from the back of a pickup. justice remains underserved in this dangerous game. 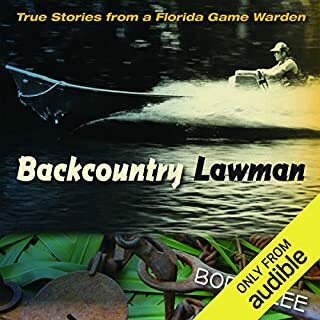 Thank you for all the Game Wardens that tell their stories and audible for publishing them. These experiences need to be heard and I am glad that Game Wardens are out there and policing the Hunter.